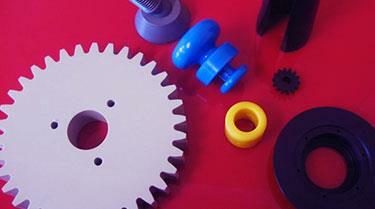 We manufacture and fabricate plastics for a wide range of industrial, engineering, manufacturing & domestic uses. 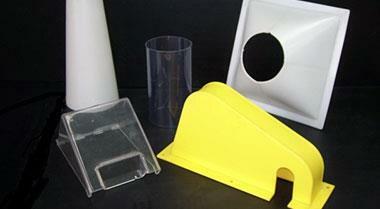 Our team can reverse engineer your plastic products to specification. 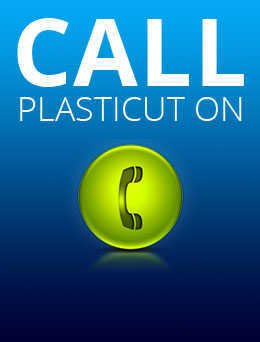 Call Plasticut for everything from welding and plastic fabrication to design and delivery. For plastic fabrication services in Melbourne, discover Plasticut, the plastic engineering and manufacturing specialists, servicing Melbourne’s northern and surrounding suburbs. Specialising in all forms of CNC machining, fabrication, design, repair and plastic welding our comprehensive range of expertise includes a reputation as specialised plastic sheet suppliers in the provision of a cut-to-size sheets, such as rod, and tube products in acrylic, polycarbonate, and engineering plastics to both the domestic and commercial market. As market leaders and one of the leading plastic fabrication companies in Melbourne, our reputation for efficient, precision cut plastic manufacturing and plastic fabrication services, partners Plasticut and our services with both small businesses and major corporations. We will assist you in bringing your product to market at competitive price points with an emphasis on quality. Based out of Campbellfield, our state-of-the-art workshop boasts advanced fabrication equipment that enables our specialist staff to perform plastic welding, CNC machining, and offers cut-to-size capabilities, on even the smallest of jobs. Employing progressive techniques that allow for full customisation, our team of expert fabricators can successfully manufacture a range of designs as per our client’s requests. From the initial sketch through to fabrication and delivery, Plasticut continues to set industry standards with our plastic fabrication services. 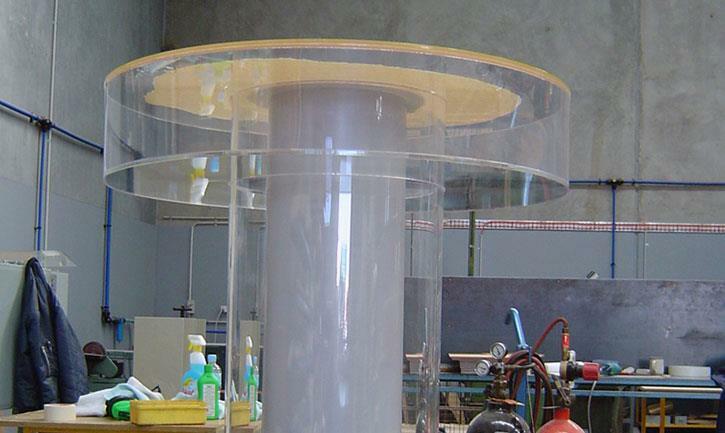 Plasticut is one of Melbourne's leading acrylic and plastic sheet suppliers and plastic manufacturing companies. If you would like any further information about our CNC machining, plastic welding, fabrication, repairs, design and development or any of our other services, call Plasticut for plastic fabrication in Melbourne on (03) 9357 6688 or contact us online. Plasticut is a company that can accomplish all aspects of plastic design, welding and plastic fabrication services from concept to creation. 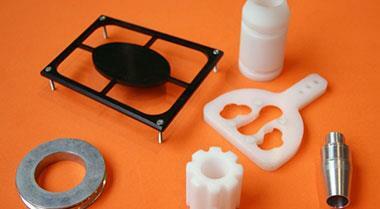 Plasticut uses a variety of plastic materials to create products for our customers. 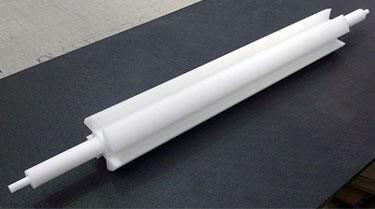 Different materials are required for specific applications. Plasticut is able to reverse engineer most shapes and receptacles. What separates us from other plastic manufacturing companies is our ability and eagerness to work on interesting one-off prototype plastic engineering tasks. We have a large workshop in Campbellfield, in Melbourne's North, which is capable of producing components of almost any size and volume. As plastic suppliers, we keep a store of materials on site to reduce any lead-time. With on-site plastic welding, cutting, repairs, as well as a friendly and professional attitude, Plasticut is truly a one-stop-shop for any plastic engineering project. We frequently do one-off jobs for our clients. Sometimes only a single unit is needed to complete a particular project or repair faulty machinery; other times we work closely with our clients to develop a unique prototype. Developing prototypes is exciting work and is what separates us from some of our competitors who work only as plastic and acrylic suppliers. At Plasticut, we understand that even the smallest component can play a very important part in the smooth running of complex machinery and industrial processes. We are able to prioritise repair work and have the capability to reverse engineer older out-of-production parts.We also perform on-site plastic welding and cutting that can be done on the day. Plasticut stocks a wide variety of advanced engineering plastics and materials suitable for the harshest environments, so you can install our components with the knowledge that they'll work hard for your business. Our in-house design team has a suite of Computer Aided Design and manufacturing programs and techniques to ensure accurate results for your next project. Our CNC machining capabilities are first-class, so when precision is needed you can be sure Plasticut's CNC machining is up to the task. 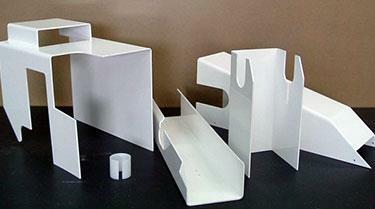 Plasticut uses a variety of plastic materials to create products for our customers. 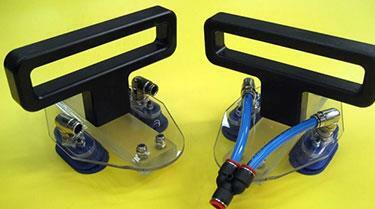 Different materials are required for specific applications. It is important to always use the most appropriate material to ensure reliability and safety.